Home»Archive by Category "Divorce and Taxes"
Many couples that visit our website to read our online divorce reviews are in the planning stages for a divorce at the beginning of the year. To them, it’s much easier to wait until you share very little financial data to make a clean break, and to an extent, they’re correct. However, you and your spouse may not be in the position where you can afford to wait. If that’s the case, then you want to file as soon as possible, and if there is a chance that you’ll be divorcing before year-end, then one of the first things you’ll want to do after the forms are final is find an accountant. Why? Because, for starters, divorce complicates taxes. Preparing and paying taxes in a way that doesn’t put you at risk for an audit is hard enough to do on your own when you have substantial debts and assets or own a business. Throw in a marital rift before the end of the year, and you have a very complex situation that demands the expertise of someone who is trained to deal with such a matter. While most tax accountants are equipped to handle this sort of thing, you might want to take the following steps to ensure that the process goes smoothly. Keep clear financial records of how debts and assets are divided per the order of the court. You will owe tax liabilities on properties that end up being transferred to you, provided that you sell the asset. You will also be able to claim tax deductions for any support that you provide in way of alimony, but not for child support. Be honest about exemptions. If your child lived with you five months and your ex seven months, then you’re probably not going to be able to claim the child as a dependent so don’t even try. After all, it’s not like your ex will forgo filing their taxes, thus allowing you to get away with it. If you are ready to get a divorce and aren’t sure whether to go the attorney route or with a DIY service, stick around our online divorce review site and read up on your options. What is YOUR Financial Status before Divorce? One of the situations that we see in many family situations is where one spouse is the primary caretaker of the financial responsibilities for the family. This person may have been in charge of paying the bills, making investment decisions (stocks, bonds, real estate, etc. ), maintaining insurances (health, life, disability, long-term care), managing the credit cards, and filing taxes during the marriage. 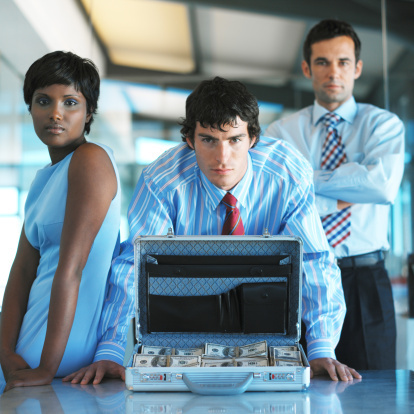 It is important to identify all of your assets and liabilities. The court is looking to split your assets and liabilities in a fair and equitable allocation between you and your former spouse. It is in your best interest to be up front and honest by that, we mean do not hide assets, income sources, or liabilities. You have the potential to be found in contempt of court and could have some very negative financial penalties imposed on you through the settlement divorce process. If you are unsure of how to gather this information, or are concerned that you will have a difficult locating all of the pertinent facts, you may consider hiring a professional financial expert such as a certified accountant, certified financial planner, or certified public accountant to guide you through this process. If you are all situated financially and are ready to move on to your divorce process. 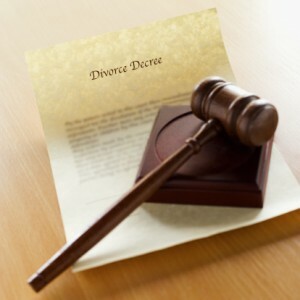 You can simply begin by going to www.mydivorcedocuments.com and begin your low-cost specific state do it yourself divorce process now. Divorce can be ugly and it doesn’t take Freud to unveil the facts. A married couple who at one point had the assumption that as life partners they would grow old together decide to go separate ways, there is resentment, hatred and a fury of mixed emotions which makes “irreconcilable differences” seem far too gentle of phrase. While there have been plenty of articles, blogs, websites, and LifeTime Network movies made for divorced women focused on handling depression and other negative effects of divorce; Hardly any attention gets shined on men’s reactions to divorce. MyDivorceDocuments.com examines the issue. As of 2008 there was an estimate that close to 40% of marriages ended in divorce. The stats for second marriages are even less impressive. And while we are led to believe that most men are at fault for divorce for not showing enough affection at best and abuse at worst-no one disputes that divorce is hard on everyone. Most men can ponder what will happen in terms of child support and custody laws but once the ruling is made, most men can begrudgingly accepts it. In general, men are defined by more than just their status in a marriage. A lifelong bachelor with a successful career never gets castigated of question yet an older woman in similar circumstances gets branded a spinster. A man who doesn’t want children isn’t looked at it in the same light as woman. A man can get judged by his job, his car, his hobbies and ironically men are effected more by employment status then marital status. If a man can pay the child support and have more time to golf-he probably isn’t going to think the divorce process a bad decision. In stark contrast; men do not suffer the depression women do and tend to be far more impacted by employment status. Yet post divorce studies show an amazing statistic in that a woman’s standard of living drops by 73% while the man’s standard of living increases by 42%. It’s going to get a whole lot better soon. Probably a good thing that most men do not know this stat as I am sure many men on the marital fence would probably have visited MyDivorceDocuments.com yesterday. But once again; the pull of providing for spouse and children is a powerful and compelling reason to stay and given that men typically won’t research divorce law or child support laws there tends to be a blind eye cast to the subtle nuance of divorce law. Lets examine it-a man gets divorced. Now what? He still has his job, friends, business associates and a social support system that he probably lamented not being able to spend more time with. Since Time and Memorium men have been raised to be the Hunters, Breadwinners, builders, police and fireman rolled into one; knowing the ins and outs of Divorce Law take a backseat to the needs of the family. Studies show that men suffer disproportionate health effects on a far higher scale for employment factors then marital factors while the stats for woman are quite the opposite. The facts are no one looks eagerly towards divorce and very few men endure the divorce process unscathed. It is however time to admit that emotional factors and baggage due to divorce isn’t always solely reserved for women.